The town of Angers is located in the West of France, near the river Loire. 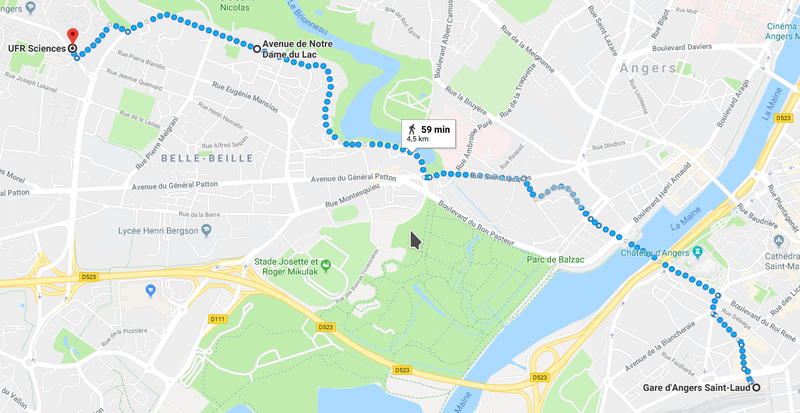 fly to Nantes Airport, then get a train from Nantes railway station to Angers Saint Laud station. You can book train tickets for any of these routes here. The bus stop is then ''IUT''. 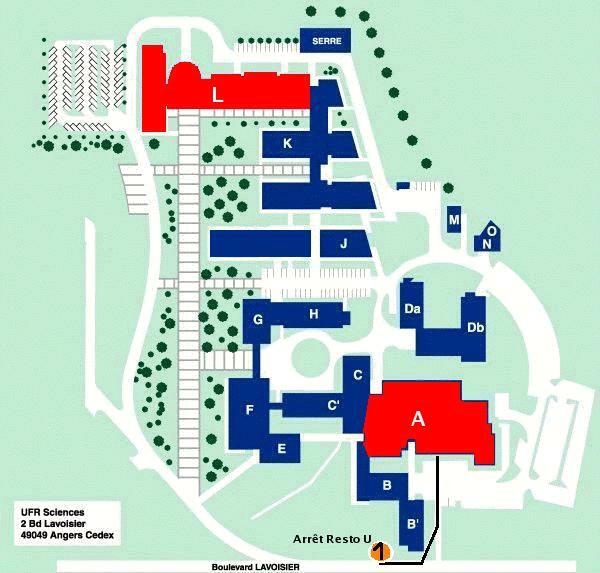 If your accomodation is in Bon Pasteur Hotel, you can take the bus N°4 near to Bon Pasteur (see the map for details). The bus stop is then ''Lakanal''. If the weather is good, you can also walk from the center to the campus following partially the border of the lake. It takes 59 min from the center and 35-40 min. from Bon Pasteur. tel. 02 41 88 10 14. This hotel is situated in front of the Angers train station. tel.+33 2 41 87 52 40; This hotel is in 2 min. walk from Angers tain station. Click here to find out more about places worth visiting in and around Angers.